Wheel Excavators are digging and excavation machines comprise of 4 powerful wheels to propel and move forward. They are also known as mechanical shovel and 360 degree excavators and are used in many different ways such as deep digging of trenches, holes, foundations, material handling, brush cutting with hydraulic attachments, forestry work, forestry mulching, and construction. The general landscaping, mining, river dredging, driving piles, drilling shafts for rock blasting, and snow removal tasks are also major tasks to do with the help of wheel excavators. Wheel Excavators are manufactured by many well known industrial brands such as Caterpillar, CNH Global, Hitachi, John Deere, JC Bam ford (JCB), Komatsu, Kubota, Case CE, Liebherr, New Holland, Terex Corporation, Sany, Mahindra, and Volvo. All these are top most brands for manufacturing heavy duty excavator machines in a wide variety of sizes. 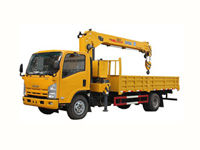 Some other kinds of excavators include compact excavators, mini excavators, dragline excavators, walking excavators, long reach excavators, and bucket-wheel excavators. Car Junction offers Used Caterpillar, Volvo, and Hitachi Wheel Excavators for Sale at valuable discounted prices for customers. 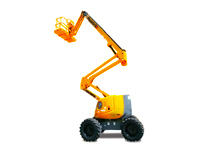 We also deal with all kinds of commercial heavy machinery in Africa, Asia, and the Caribbean regions of the world.